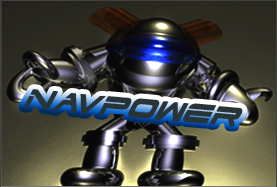 NavPower is licensed on a per title basis. All licenses are based on a fixed fee without any royalty component. All licenses include one year of support. The NavPower FlightPak can be added to either license. The cost is $12000 to add the FlightPak to the Complete license or $8000 to add the FlightPak to the Basic license. The technical support period can be extended at a annual rate of $8000/year. Technical support includes bug fixes, performance advice, API usage recommendations, and access to all NavPower software updates released during the support period. Full Run-time source includes all source code to the system, planner, navigation, and movement modules. Source code for the tools, NavGraph, and volume graph build processes is not included. These licenses are provided for digitally distributed, small budget titles. Please contact us at info@navpower.com for further information about the NavPower small budget licensing program. The NavPower FlightPak can be added to either license. The cost is $4000 to add the FlightPak to the SBX license or $3000 to add the FlightPak to the SB1 license. If these licensing options do not fit your requirements, please contact us at info@navpower.com.